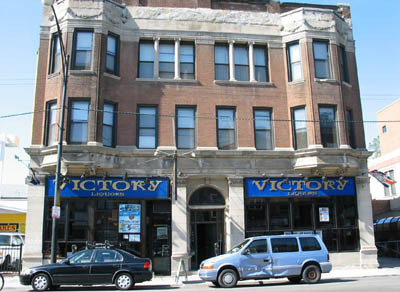 VICTORY LIQUORS is great on Saturdays if you're looking for a bar that stays open past the typical 2:00 AM. That extra hour really makes a difference. Dirty Bingo started here, and if you haven't experienced that yet, then you're really missing out on a lot of fun! On the bingo nights they also have four buck pitchers and wings for a quarter, and you can't beat that! Bachelor parties are great here too! Nice strong drinks, decent prices, and great bar fare. Always happy crowds and good times!